In Kitchen, sometimes you plan for a dish but end up making something different. When I was going to try something innovative, a brand new chicken recipe. noticed that I had a bunch of fresh cilantro still left in my refrigerator. Thinking if I try out the new recipe, bunch of cilantro would be wasted, I decide to make Dhania Chicken. 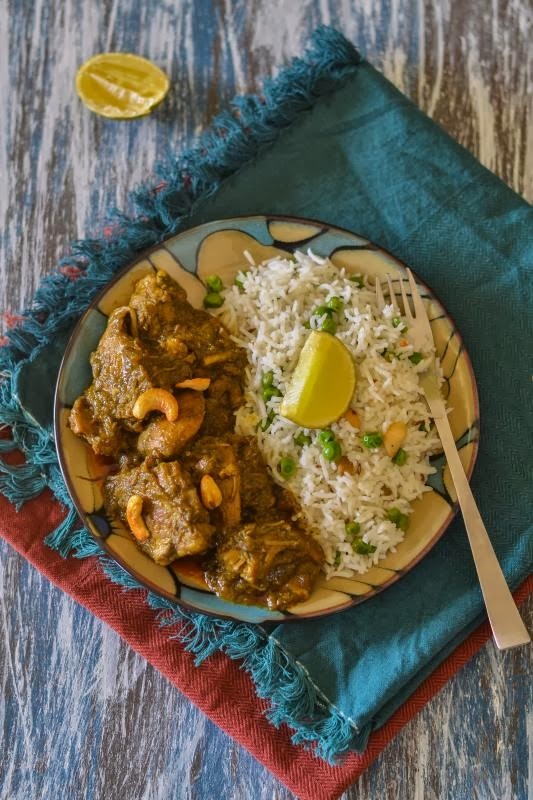 It’s a simple chicken curry with lots of fresh flavors. This recipe is for you if you love fresh cilantro. 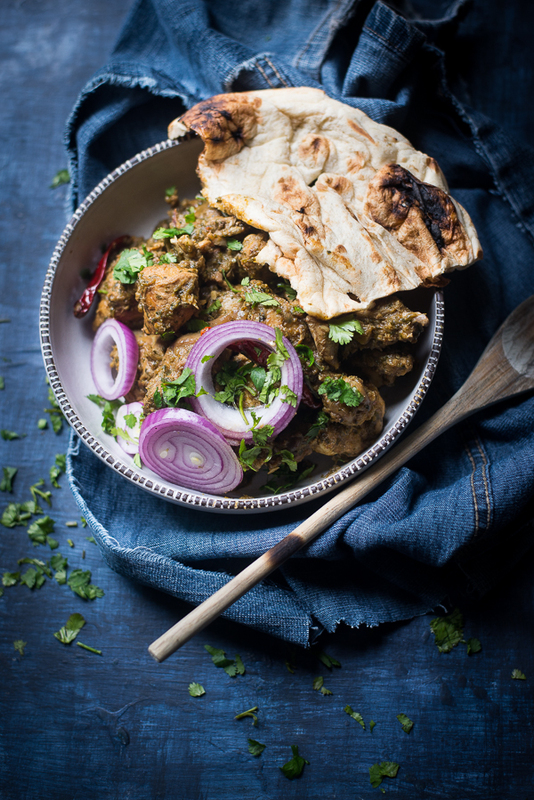 This chicken curry doesn’t need lots of spices, to maintain the fresh flavor of coriander. But surprisingly all the time it came out so delicious that even my conservative hubby had to appreciate J It has become one of his favorite chicken dishes. 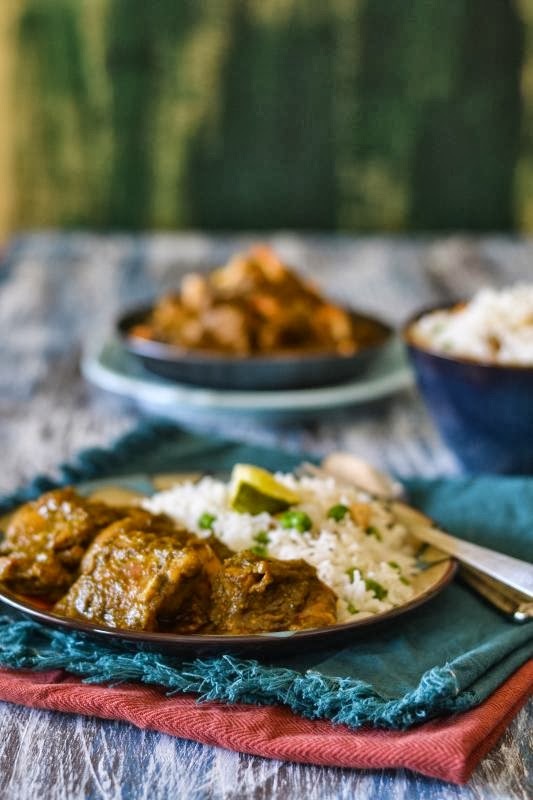 We tried several times Fish curry with fresh cilantro paste or Dum aloo with the same and those are kind of regular dishes in Bengali kitchen. 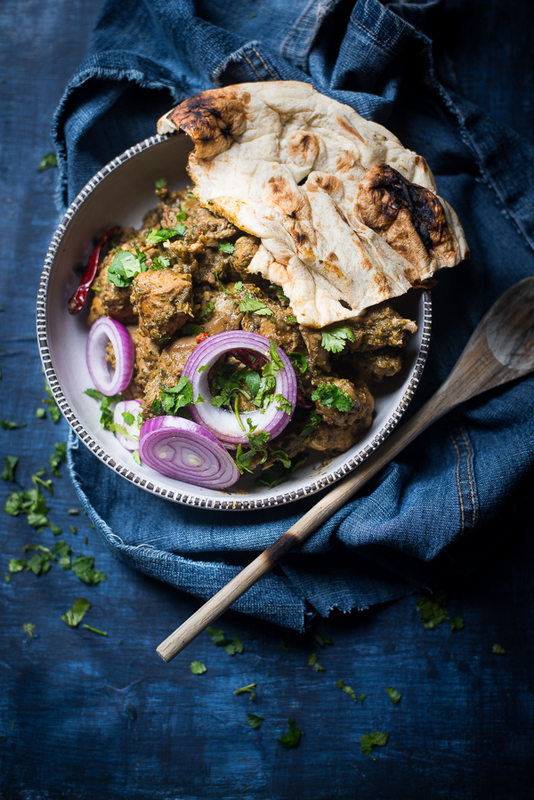 But Chicken curry with fresh Cilantro was not so common in my family before we tried this out. This recipe is very easy and quick that you can make on any busy day. 1. Wash the chicken pieces and pat dry. Add the lime juice, salt, red chili powder to the chicken. Toss it and mix it well, put it in a big Zip lock bag and let it sit for 15 to 30 minutes. 2. Take a deep pan or wok, add 2 tbsp of oil and heat it up. Once oil is ready, add the green cardamoms, cinnamon and cloves. 3. Once they are aromatic, add the 3/4 of chopped onions. Saute the onion till they become transparent. Add the chopped cilantro and chopped green chilies. 4. Give some stirs, add turmeric, Kashmir red chili powder and coriander powder. Cook it until every thing is well mixed. Once done take them off from the pan. First let it cool down at room temperature, then make a paste. Keep it aside. 5. Add the remaining oil to the same pan and heat it up. Once oil is ready, add the remaining onion and stir it. Add the marinated chicken to the pan and saute it for 5 to 7 minutes. Then add ginger and garlic and give some stirs. 6. Chicken will release water, let it cook until water is dried out. Stir it occasionally to prevent burning at bottom. Add the cilantro - onion paste to the chicken. 7. Mix it well, keep stirring until oil starts coming up from the sides of pan. 8. Add salt and add a cup of warm water. Cover the pan with lid and let it cook until chicken pieces are fully cooked. 9. Once chicken is tender, check the seasoning. Add some chopped green chilies if needed and switch off the gas. 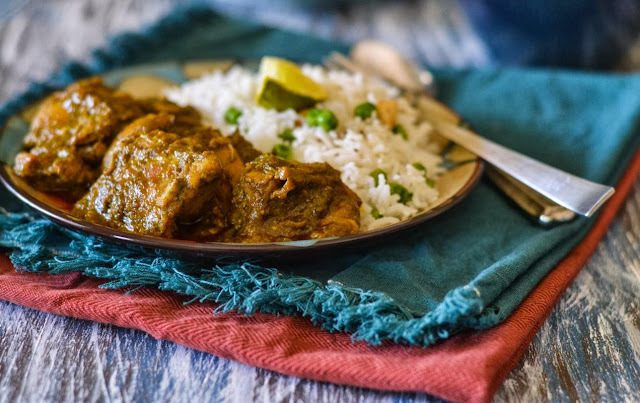 Serve Dhania Chicken / Cilantro Chicken with a bowl rice or bread. Labels: chicken, Chicken with Coriander, Chicken with Daniya, Chicken with fresh favors, dhonepata diye chicken curry, Green Chicken Curry, Hara Chicken Curry, Hara Murgh, palong shak diye chicken. 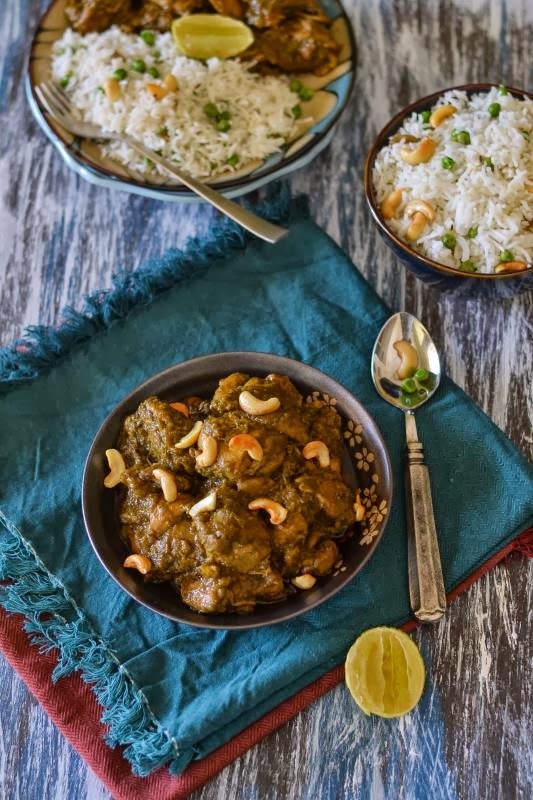 Mmmhhh, that fragrant curry looks ever so mouthwatering! Just what the doctor ordered. I absolutely adore coriander and this dish is something we will love. Your experiment of the dish surely looks like a great success. Love it. 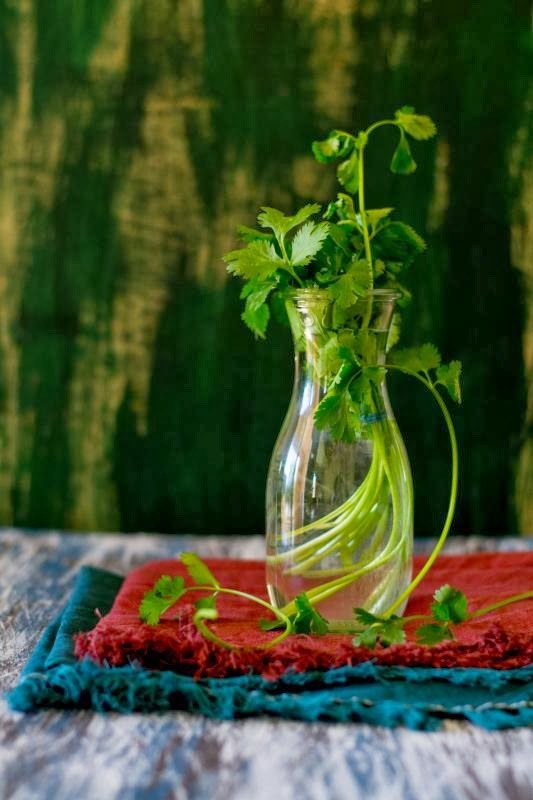 Your coriander picture is beautiful. Just pinned it.